New research conducted by Centre for Dentistry has found that a third of Brits say they fear the dentist’s chair and a whopping 79% say they are put off receiving dental advice. While we are fairly happy to visit GPs and local hospitals for medical attention, visiting the dentist attracts an undeserved stigma with experts believing fear, time and cost hinders Britons from attending a dental practice. Further research from the NHS has shown that only 58.7% of the child population visited a dentist last year, and 50.5% of the adult population have visited a dentist in 24 months prior to December 2018. Overall, 41% of Brits will seek advice over poor oral health despite only 6% of us reporting we are happy with our smile. While the ‘sugar tax’ was brought in under a year ago in a bid to discourage the amount of sugar we consume through drinks, and primarily aimed at children - almost nine out of ten tooth extractions in hospitals were for rotting teeth in young children. A staggering 15,000 children had tooth extractions last year with a near 13,000 of them being a result of tooth decay and could have been avoided with regular dentist visits or advice. Alarmingly, nearly 100,000 less people in the UK visited the dentist last year and a high number of people continue to avoid dental visits. 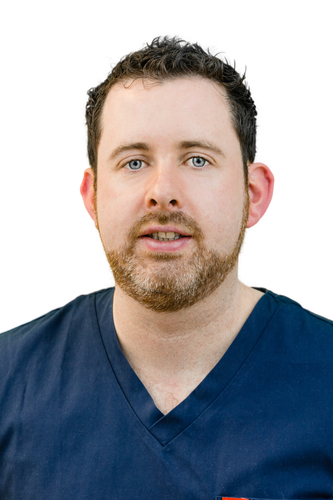 Expert dentist and managing Director of Centre for Dentistry Cathal Hayes believes fear is just one of the major reasons why we are avoiding the chair, with research showing time and cost also stops 1 in 7 of us from taking a visit. In a bid to reduce fear and encourage check-ups, Cathal is making his practices accessible in Sainsbury’s across the country and focusing on building relationships with patients and children as early as possible. Currently, only one in ten UK adults meets the criteria for excellent oral health, with around a third suffering from tooth decay, notably caused by excess sugar. To avoid this, experts are advising Brits to go for a simple check-up, talk issues through with their dentists and take advice on-board. For more information about Centre for Dentistry please visit centrefordentistry.com. For any further info or images, please contact Tom on Thomas@kincomms.com or 02039587175. Cathal Hayes is the Clinical Director of Centre for Dentistry which is an active member of the Association of Dental Groups (ADG). He completed his BDS in Cork, Ireland and his Masters of Business Administration (MBA) in Hult International Business School, Boston, USA. Centre for Dentistry practices operate across the whole of the UK. Research was conducted by Centre for Dentistry in 2019 and NHS Digital Dental Statistics First & Second Quarterly Report. Centre for Dentistry is a modern breed of dentist, focusing on accessibility, friendly and easy-going preventative dentistry. Easily accessible with appointments on the weekend, evening and in Sainsbury’s across the country – Centre for Dentistry promises to make the experience of dentistry a positive one. This press release was distributed by ResponseSource Press Release Wire on behalf of Kin Communications in the following categories: Health, Women's Interest & Beauty, Medical & Pharmaceutical, for more information visit https://pressreleasewire.responsesource.com/about.